I've said it before, but platinuming my favourite games truly gives me a lot of joy. It's a good excuse to stay in the game world a little longer and if the gameplay is good, it's super fun to be challenged in the smaller parts of the game, such as mini games and collecting things. I made the decision last year to platinum Final Fantasy X HD as a New Years Resolution. It didn't work out. But it's still a goal of mine, since now that it's on PS Vita, I can finally satisfy past me by getting the ultimate weapons, beating the dark aeons and everything else. When I was a teenager, I'd read walkthroughs and found a whole new world of gameplay inside Final Fantasy X. It had levels of depth that were totally optional and kind of secret if you didn't stray from the story, which I thought was really cool. I wanted to get all the Celestial Weapons and fill the Sphere Grid for each character, but I couldn't find the time or reason to go for it when I needed to study for my final exams (I did however end up writing part of my English essay on the game though in a burst of in-exam inspiration). Now that I'm an adult, I make more time than I probably should for games simply because I can and it's fun. So, now seems like a good time to achieve that goal. 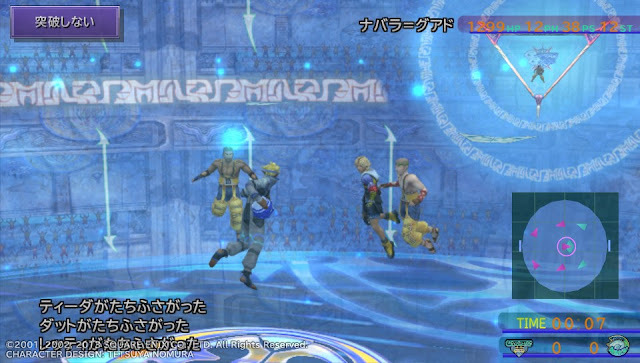 At the time of writing this article, I have found and charged Tidus's Celestial Weapon, mostly without much difficulty. I've nearly got Yuna's too, I just need more items to sell and generally more Gil to get Yojimbo. 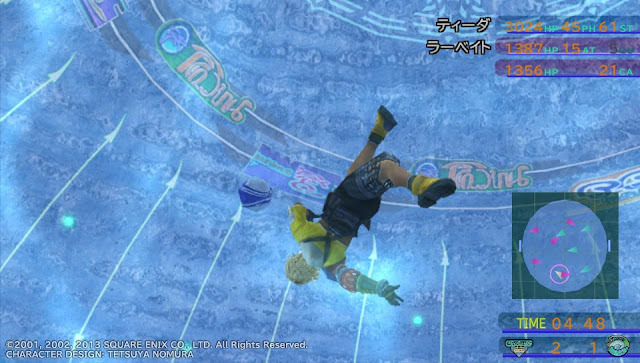 Since I could just earn Gil during battles, next in line was Wakka's Blitzball filled journey, which I now realise I was not at all prepared for. It's a long process that involves far more Blitzball matches than I expected and I'm still at it. 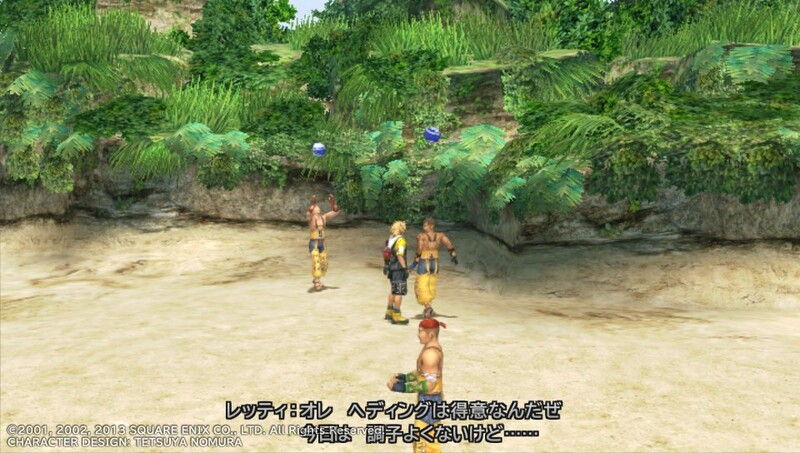 Before trying to get Wakka's sigil, I liked the occasional Blitzball match. In fact, before I saved my game in what was probably the first half of the story, I used to usually try to get a match in just to build up my team and earn some items. After now having won 55 matches (or more after this goes up) and not finding the sigil yet, my Blitzball love is quickly waning and it's requiring a new level of dedication to that Platinum Trophy. To gain Wakka's Sigil, it has two show up in League as first prize, then I have to have the most team points at the end of the 10 League matches to win it. As part of the prerequisites for it to show, I've already won all three of Wakka's overdrives and I have no doubt that I've done the right amount of battles for it to pop, it's just waiting and hoping for it to randomly appear after finishing League again. I could reset my Blitzball data; it would re-cycle the prizes and make my life easier. But my Blitzball team is at a high level (Tidus is Level 40+), so the idea of resetting my Blitzball data (separate to my FFX game data) hurts me inside because I'd lose all my hard earned EXP. So, I will just play more and more Blitzball, until it eventually appears in League where I can win it. It's a long process. A very long process. Despite this, I still wouldn't say Blitzball is a bad mini game at all. It's crazy underwater fun when in small doses, but I've hit a point where each match is very similar and it makes it feel a little chore-like. It's no secret that Platinum trophies have challenges like this but it's the first one that's truly frustrated me this much. Yet I will keep playing through these matches to test my own dedication to the platinum. If I complete this Platinum Trophy, I'm either crazy or a legend. Probably crazy when you factor in the 200 Lightning Strikes I have to dodge at the Thunder Plains for Lulu though. Oh boy. Wish me luck! You can pick up Final Fantasy X HD Remaster for PS Vita, PS3 or PS4 from Play-Asia.com now! Do you like Blitzball? What's the most difficult Platinum Trophy you've ever won? Leave a comment below or send @JRPGJungle a tweet and let's talk! Note: This article does contain affiliate links to Play-Asia to help support this site. You can read our Affiliate Link Policy here. Photos in this post are also from Play-Asia.